This high-precision photometer for observing networks measures the optical properties of the atmosphere ( sun, sky, moon and soil reflectance) and provides quantification and physical-optical characterization of the aerosols. Due to its very low power consumption (MicroAmps®) technology, to its self-powered system and to its most rugged design , the CE318 fully meets the operational requirements of continuous monitoring in terms of reliability, long lifetime and very low maintenance cost . The CE318 photometer technology is constantly enhanced to match the new technological challenges for climate observation and monitoring . 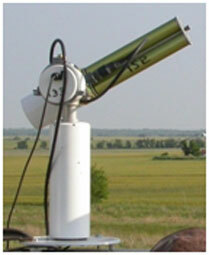 The "Cimel" is still the benchmark device for most aerosol observing networks and more specifically for the international federation of AERONET networks. 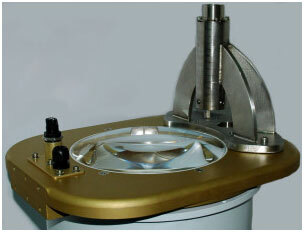 The CE318 carries out raw measurements according to automatic standardized patterns: sun and sky radiance on several bands as well at day time as night time (CE318-U LUNAR) Raw measurements can be automatically post processed to obtain several atmospheric parameters like aerosols size distribution and their optical properties as well as vapour water quantity. It operates in the visible (green) and/or in the near infrared (NIR) with options for depolarization channels for enhanced aerosol characterisation. 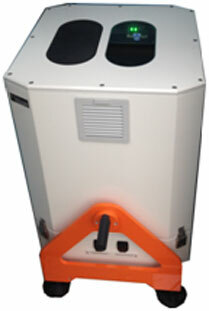 The rugged, robust, fully integrated system operates without shutdown, without any human attendance,without maintenance, without need for authorization, without a special room, even in harsh environmental conditions It is particularly easy to install, outdoor or indoor, to transport and even to use onboard a vehicle or a plane. Eye safe LiDAR for 24/7 aerosol and cloud monitoring up to the stratosphere The CE370 LiDAR provides continuous high performance measurements of aerosol and cloud spatial distribution on an extended range. It features a large (200 mm diameter) aperture for enhanced measurement up to high altitudes while ensuring compliance with eye safety rules, and includes a second reception line to extend measurement towards very low altitudes (from 50 m). Robust and reliable, the CE370 operates without shutdown, and requires no human attendance, no maintenance, no authorization, no special room. It may be operated in fixed mode (indoor or outdoor with enclosure) within an observation network, or in campaign mode, fixed or even on a mobile vehicle.